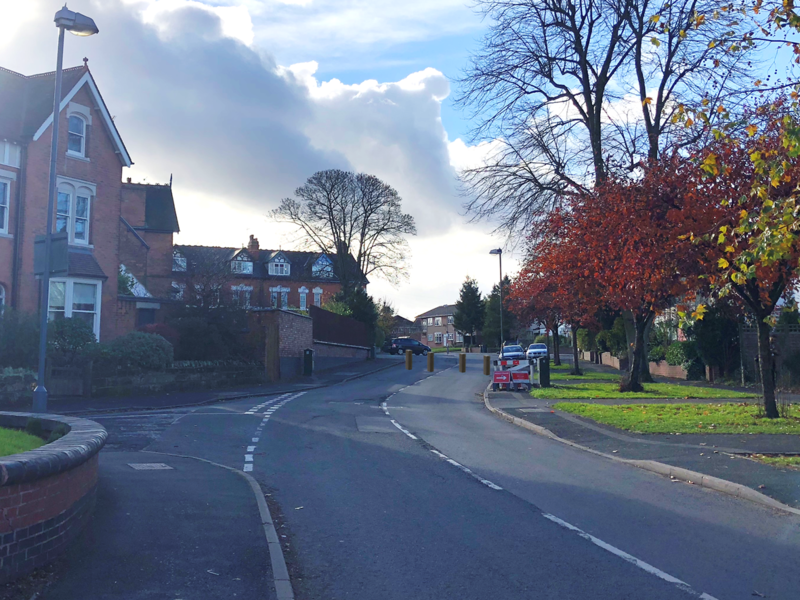 To improve road safety on School Road in Moseley, particularly for children walking to school, we are planning an experimental (temporary) closure of School Road between Cotton Lane and Greenhill Road. School Road in Moseley is used by many drivers to bypass both Kings Heath and Moseley local centres. This means the road gets very busy, particularly during rush hour and school run times, with vehicles often attempting to pass each other at narrow sections of the road. The situation is made worse by the number of parked cars obstructing people and vehicles travelling on this route. We have received numerous concerns from local residents in School Road and the surrounding area about the safety of the road, traffic congestion and parking – particularly during rush hour and school run times. Over the last year, we have worked with local residents and considered a number of possible options to improve road safety. The preferred option is an experimental (temporary) closure of School Road between Cotton Lane and Greenhill Road. 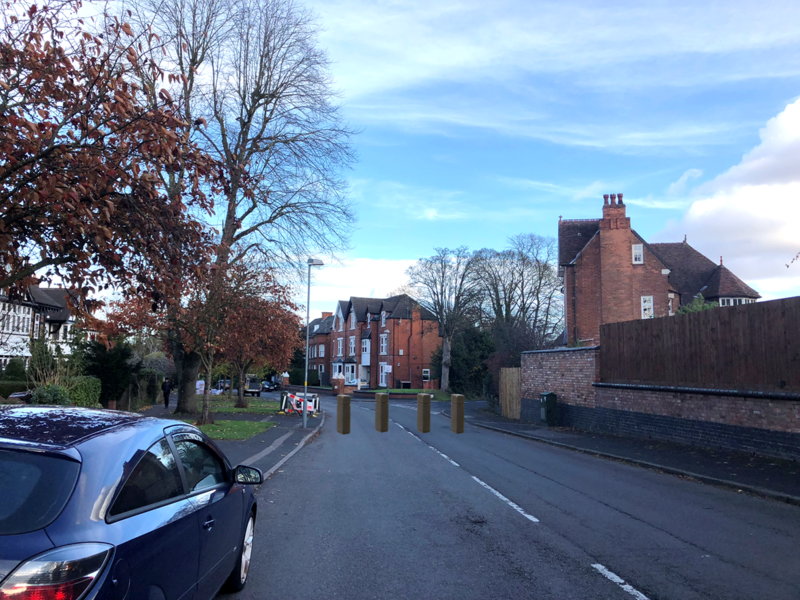 School Road will be “closed” by creating a physical barrier (eg bollards) at a point between Cotton Lane and Greenhill Road so that pedestrians and bicycles can still get through, but motorised vehicles cannot. The road is only “closed” to through traffic; residents and visitors will still have vehicle access to all properties, deliveries can still be made, and rubbish collected. Motor traffic cutting through local roads and residential streets has a serious impact on the health and quality of life of people living there – too much traffic, too fast, too noisy, too much pollution. We know that the lower the volume of traffic on a street, the more community interaction and healthy physical activity we see. Low traffic neighbourhoods are an approach to removing or reducing through traffic to realise the many benefits that this can bring to an area. School Road is a residential road, not built for through traffic due to its narrow width and many bends. There is potential for this scheme to start the local area on a journey to becoming Birmingham’s first Low Traffic Neighbourhood. You can find out more about how the London boroughs of Enfield and Waltham Forest are currently using this approach. More information about low traffic neighbourhoods can be found on the London Living Streets webpage. This is not a formal consultation. Local councillors held a public drop in session on 11 January at which a simple form was used to record the views of attendees. At the event, we were asked by members of the public to also make the form available online as an additional way for people to make comments before the trial begins. You can also email comments to connected@birmingham.gov.uk or contact the local Councillors. We plan to introduce the closure in Spring 2019 using an experimental traffic order to trial the road closure for a maximum of 18 months. During the first six months of operation, anyone can submit written comments or objections. We will monitor the road during this closure to see whether traffic is reduced and road safety improved. Before the closure could be made permanent, a statutory process would need to be followed which includes publication of notice and formal consultation. Your responses will be used to help us understand local views on School Road traffic issues and will be kept confidential. Any comments used will be kept anonymous and individuals will not be identified. Your personal data will be held by Birmingham City Council and used to contact you about School Road traffic issues. Personal data will not be shared with any other organisation. This is conducted in accordance with the Data Protection Act 1988 and General Data Protection Regulations (GDPR) and if you would like to know more about our Data Protection Policy please visit www.birmingham.gov.uk/privacy.